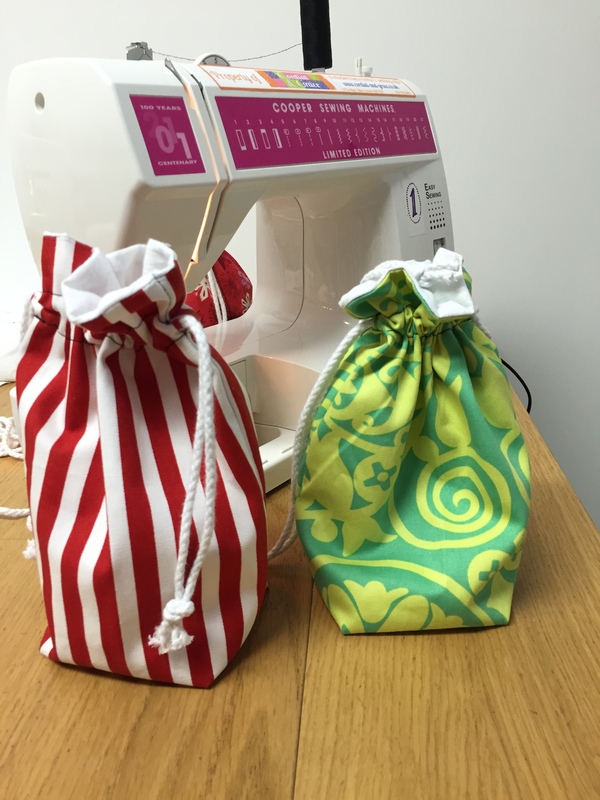 You will make a lined drawstring bag from 4 pieces of fabric. This project is great for learning to follow a seam allowance with lines of straight stitch whilst also learning the simplest technique for lining bags. It also covers how to make a boxed seam & insert a drawstring. The finished bag has a 10 cm square base & is 20 cm tall.